Its recipe 6 of my ‘7 breakfasts for 7 days’ recipe challenge and today I am bringing you a wonderful savoury treat with a sweet kick Lactose and Gluten Free Cheesy Apple Bruschetta now doesn’t that sound good? I can sympathise with those that need to follow a stricter set of food rules. Those that need to eat gluten free and lactose free must find it so frustrating when they want to eat out. But first must research the restaurant. I remember having to make those phone calls. “Excuse me, do you serve any vegetarian dishes?…… No I don’t eat chicken……. Or ham…….. No I can’t pick the chicken out……… Oh vegetable lasagne you say?…….” Ahhhhhh, at least almost everything is online these days so you don’t have to explain that by picking a certain ingredient out does not make it safe for you. So I like to try and make things as diverse as possible and open up my recipes for as many people as possible. To make it gluten free I just used a gluten free bagel. Feel free to use a regular one if you don’t want to or need to eat gluten free. Simple and thoughtful recipe swaps will often make a dish gluten free. Just check all your labels and be careful where you toast your bagel. Seriously, how cute were those hedgehogs? So to help with this problem Arla have come out with a whole LactoFree range. 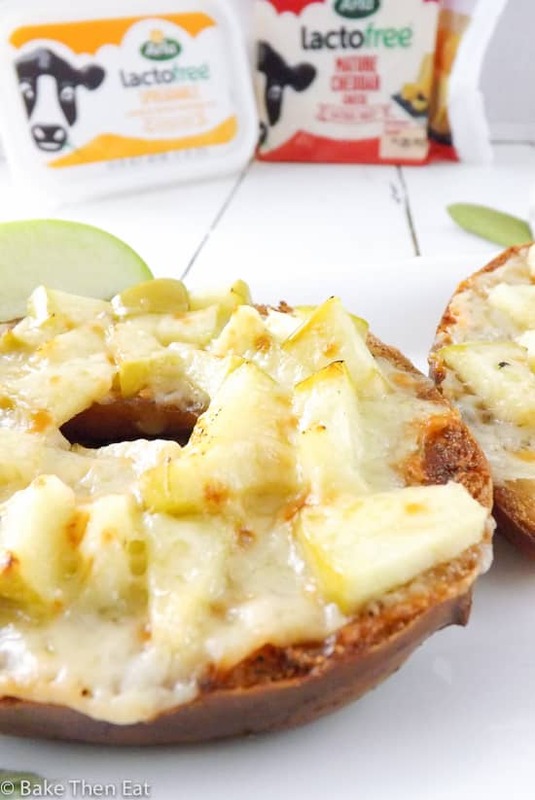 In this lactose and gluten free cheesy apple bruschetta recipe I have taken advantage of Arla’s lactofree spreadable which is a mix of butter and vegetable oil and the lactofree mature cheddar. I have to admit I couldn’t taste any difference when I tried them. The spread was pleasant and the cheese was rich and creamy and full of flavour. Both get a thumbs up from me. Lactose and gluten free cheesy apple bruschetta. 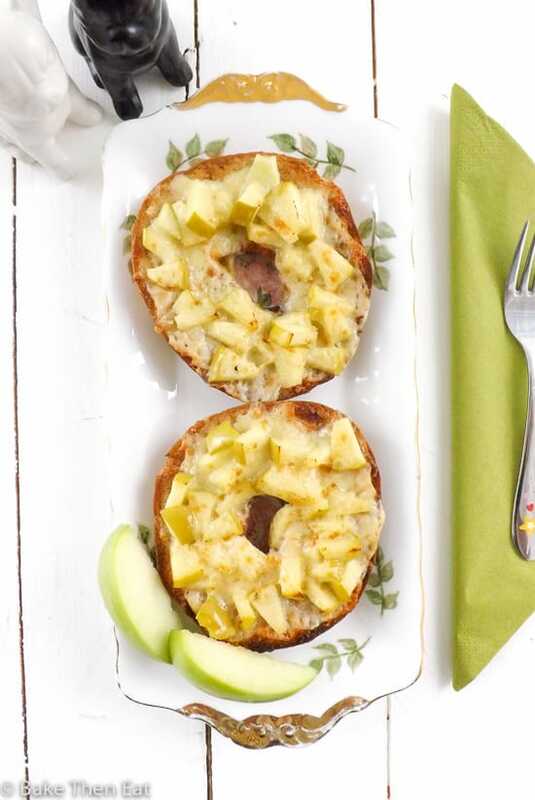 Lactose and Gluten Free Cheesy Apple Bruschetta a crispy, savoury & sweet breakfast treat all in one hit. 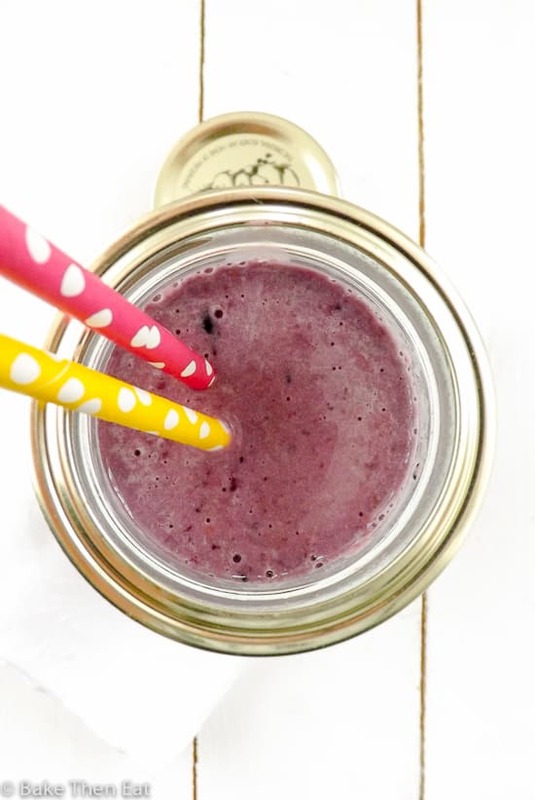 Perfect for a quick gluten free & lactose free treat. 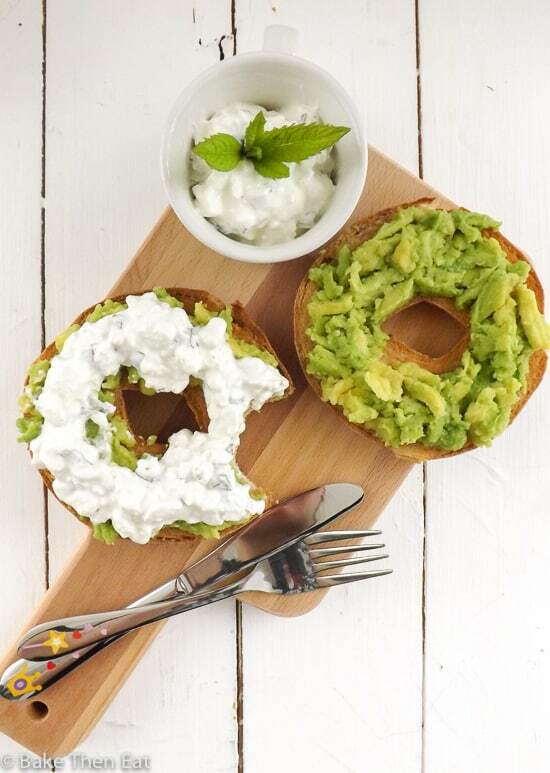 Cut your bagel in half and very lightly toast the outside under a warm grill. While that is toasting. Grate your cheese and slice up your apple into 8 segments. Dice up half of them into small chunks. (Top tip! Stop the remaining apple slices going brown by placing them in a bowl of cold water with a small sprinkle of salt in it). Mix your apple chunks up in a small bowl with the tablespoon of spread and 1/2 teaspoon of sugar. Make sure to give the apple chunks a good coating. 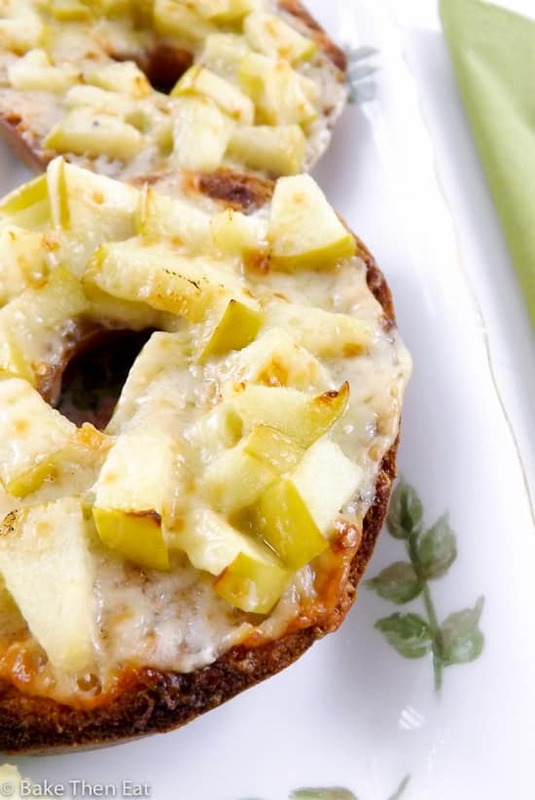 Sprinkle half of the cheese on the Un-toasted insides of the bagel. Then pile on the apple chunks. Sprinkle on the remaining cheese and place under a hot grill until the cheese starts to melt and bubble. 2 to 3 minutes should do it. Serve immediately with the remaining apple slices on the side. This Lactose and Gluten Free Cheesy Apple Bruschetta post is sponsored but I can assure you all opinions are my own and this is not a sales pitch and I am making. No money from these posts. The ingredients were given to me to develop the recipes. Recipes from earlier in the campaign. 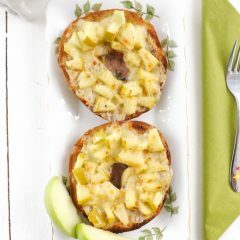 I am a big savory for breakfast eater and this apple bruschetta looks fantastic! Love that it’s dairy free and gluten free! Thanks Kelly, I have to admit I was never much into savoury for breakfast but I am starting to change my mind! I am drooling. Looks so beautiful and delicious! Great product for those who have difficulties with dairy! So cheesy and delish! Mouthwatering! Simple and quick to prepare too.